Throughout my search for nature’s power nutritionals, my personal discovery of the intense biodynamic power of the tiny berry fruit of sea buckthorn (Hippophae rhamnoides L.), a multipurpose wonder plant, harvested high in the Tibetan Himalayas, ranks among the best. The incredibly high antioxidant properties of the sea buckthorn berry, along with its anti-inflammatory and antiviral properties and its ability to be immune-supportive, make this an outstanding superfood to improve oral health. Largely unknown to many in the Western medical community, the use of sea buckthorn for medical application has been widely known and revered by Tibetan doctors dating back to the Tang Dynasty (617-907). Its beneficial properties are also acknowledged in ayurvedic medicine as far back as 5000 BC. The subject of intensive research by Chinese, Russian, and Indian scientists, sea buckthorn oil has even been used to reduce the risk of radiation burns for Russian astronauts working in space. 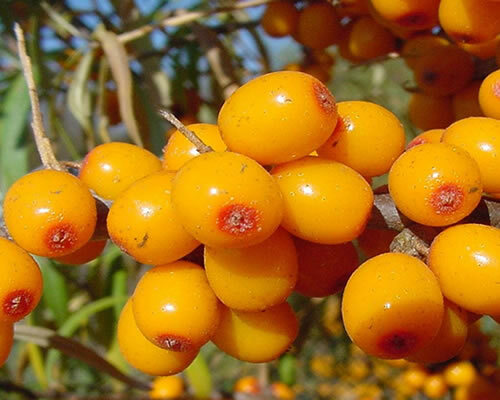 Read about sea buckthorn’s long and impressive history here. Quite possibly the most fully balanced fruit on the planet, the sea buckthorn berry can be considered a “multivitamin” all by itself, containing 190 biologically active nutrients. These include vitamins A, B1, B2, C, D, E (tocopherols), K, P, carotenoids, flavonoids, amino acids, phenols, folic acid, organic acids, and 20 mineral elements. A rich source of essential fatty acids (or EFAs), sea buckthorn oil is the only known plant in the world to contain omega 3, 6, 7, and 9 together. 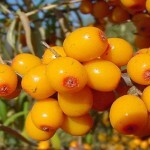 The benefits of this über-fruit have been documented in more than 130 scientific studies, including its vitamin C content, which is 10 times greater than oranges; sea buckthorn has nearly as much vitamin E as wheat germ, three times more vitamin A than carrots, and four times more superoxide dismutase (SOD), the most important enzyme to prevent free radical damage to cells, than ginseng. Review our sea buckthorn benefits main page here. In 1939, renowned dentist and nutrition pioneer of the early 20th century, Dr. Weston Price, published a famous text titled,Nutrition and Physical Degeneration: A Comparison of Modern Diets and Their Effects. In his research, Price theorized that as non-Western cultures and peoples abandoned indigenous diets and adopted Western patterns of living, they also increased typically Western diseases, especially oral disease. He reasoned that Western diets were deficient of key vitamins and minerals, especially EFAs (essential fatty acids), which were necessary to prevent those diseases. He even declared a “dietary shortage of fat-soluble vitamins” a “great national problem.” Dr. Price’s observations ring surprisingly true today. Study after study has shown the origins of oral disease — both gum disease and tooth decay remain in epidemic incidence — due to nutritional deficiency, especially of key antioxidants necessary for proper cellular function. Research has proven that the problems of oral disease are not confined to the mouth, but have been shown to have ravaging effects on many of the body’s organ systems and systemic wellness. Dr. Price would be relieved to have known of the Western emergence of sea buckthorn oil — venerated by Tibetans as “the Holy Fruit of the Himalayas.” It’s no wonder the Dalai Lama is smiling! 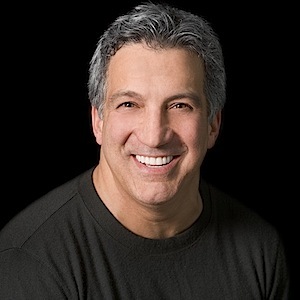 Dr. Gerry Curatola is an internationally recognized esthetic dentist, oral health expert to multiple media networks, researcher, author, and wellness pioneer. He is the founder and director of Rejuvenation Dentistry, a unique integrative approach to oral health and restorative dentistry, NYU clinical associate professor, and founder of the Curatola Wing for Clinical Research at New York University.